Chris Morara, who has relocated from a rural village in western Kenya nine years ago to settle in Athi River industrial hub outside the country's capital Nairobi, has an unwavering quest to succeed in life. The 40-year-old father of three, now a motorcycle driver with thriving business, has witnessed the positive growth in the industrial town he now calls home since the launch of the Mombasa-Nairobi Standard Gauge Railway (SGR) train service on May 31 last year. 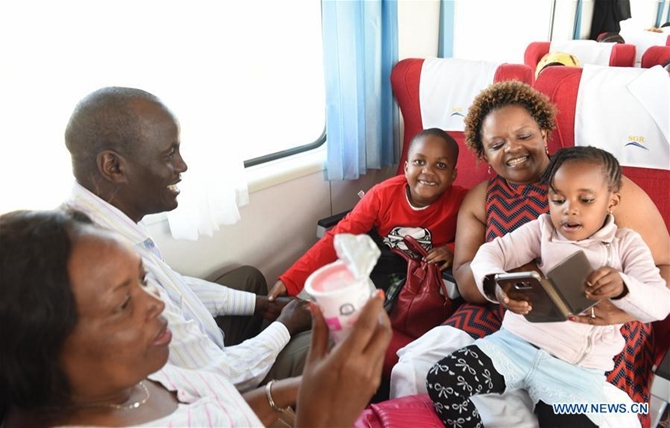 In an interview with Xinhua ahead of the SGR train's 1st anniversary on Thursday, Morara said it has boosted his fortunes, as the bulk of his passengers and cargo are from the Athi River terminus. "My business has improved and we usually camp at the Athi River's SGR terminus at 1 p.m. to wait for customers," Morara said. "The SGR train has created employment opportunities, promoted business and made transport more efficient." He said that he charges 1.5 U.S. dollars for ferrying a passenger to the Athi River terminus, while cargo generates a higher revenue for the savvy entrepreneur, who is determined to remain in motorcycle transportation business for the long haul. The famed modern passenger train, known as the Madaraka Express, makes two trips between Nairobi and the coastal city of Mombasa daily. Madaraka is a Swahili word, meaning responsibility, power and governance. The train has attained an occupancy rate of over 95 percent while reducing the time spent connecting Kenya's two biggest cities by half, from 10 hours to five. The distance is 480 km. An estimated 1.3 million Kenyans have commuted between Nairobi and Mombasa by the SGR train since its launch one year ago, according to statistics released by Kenya Railways Corporation on Thursday. Meanwhile, about 45,000 20-feet equivalent units of cargo have been transported via the SGR cargo service since Dec. 1, 2017, sparing entrepreneurs a colossal amount of cost compared with road transportation. In the past year, the SGR train has revolutionized the movement of people, goods and services in the country, according to Kenya's Cabinet Secretary for Transport and Infrastructure James Macharia. The China-funded modern railway is estimated to have boosted the African country's GDP by 1.5 percent and have provided 46,000 jobs to locals. About 300 domestic enterprises were sub-contracted during its construction, according to official figures. 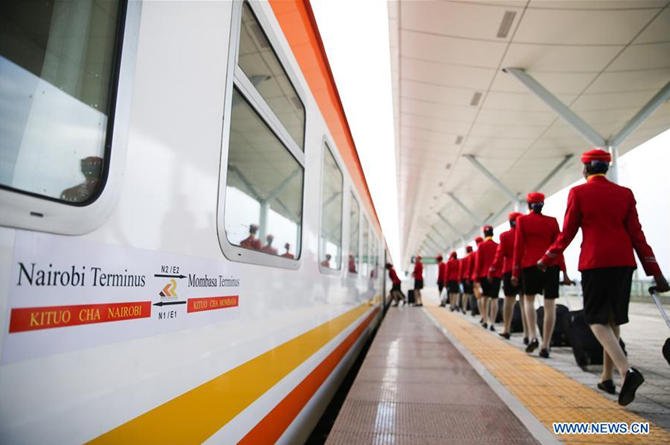 Chen Yun, vice president of China Communications Construction Company (CCCC), the SGR contractor, said at Thursday's anniversary event that the SGR project has been an integral part of Kenya's socio-economic transformation that has benefited ordinary citizens. The Madaraka Express also witnessed the advent of the nation's first batch of modern railway talents, including locomotive drivers. "Up to now, the SGR operation business has trained 1,600 Kenyan railway professionals," Chen said. 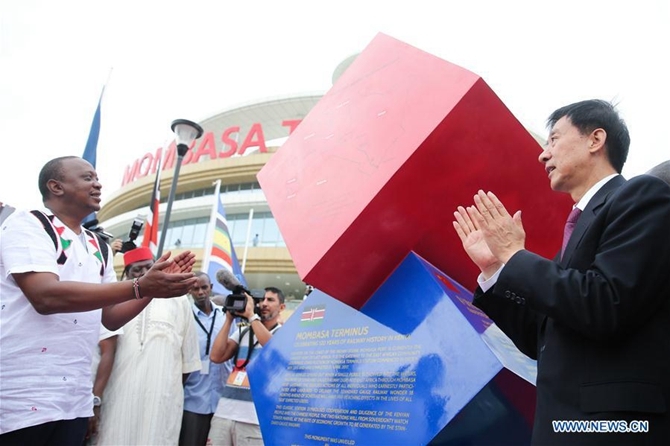 The launch of the modern railway revitalized China-Kenya bilateral relations, serving as an embodiment of Beijing's true partnership with East Africa's largest economy. A survey conducted by a leading polling firm Ipsos in April revealed that China has become the most favored development partner by Kenyans thanks to Beijing's robust involvement in their country's economic development. Raphael Tuju, secretary general of the ruling Jubilee Party, said in a recent interview with Xinhua that Kenya and other African countries regard China as a strategic partner in their quest to boost trade and infrastructure development. "If you ask any Kenyan about China, the first thing that crosses their mind is the standard gauge railway linking Mombasa and Nairobi, and Guangzhou, where Kenyans go to buy clothes and other items," said Tuju. 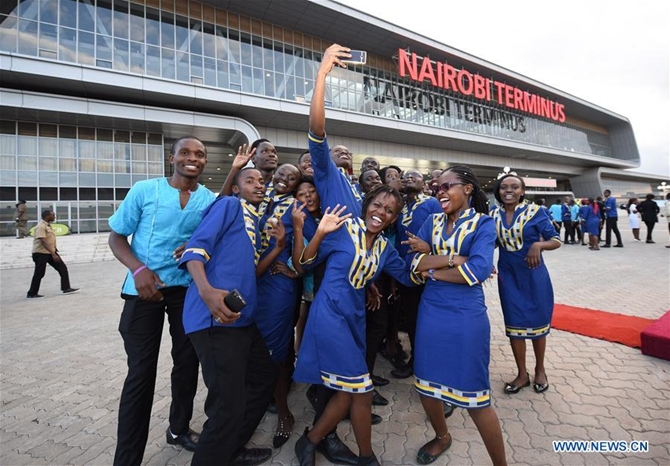 Kenya's budding entrepreneurs agreed that the SGR has not only promoted China's image in the country but has also been instrumental in transforming regional commerce. Shadrack Kimeu, a 30-year-old owner of a hardware shop, said that his revenue streams have expanded thanks to faster, cheaper, and more efficient means of transportation for construction materials guaranteed by the SGR. In a speech read on his behalf by Managing Director of Kenya Railways Corporation Atanas Maina on Thursday, Macharia said that the Madaraka Express has unleashed huge benefits to critical sectors of the economy such as manufacturing and tourism besides enhancing technology transfer. The cabinet secretary for transport and infrastructure added that both the train and the SGR freight service launched in December last year are crucial in driving the country's Big Four Agenda along with the pursuit of regional integration. The development agenda, launched by President Uhuru Kenyatta last year, includes food security, manufacturing, affordable housing and universal health care. Lilian Awinja, executive director of the East African Business Council, said that traders from Kenya, Uganda, South Sudan and northern Tanzania are now able to import and export goods without a hitch thanks to the SGR. "The SGR has reduced the travel time for imports and exports out of the East African region," Awinja said at a recent business roundtable in Nairobi. She added that the SGR has improved logistics while reducing the cost of transporting bulk goods in the region. The launch of SGR commuter and freight services was hailed by policymakers, investors and experts as a giant step towards the creation of a formidable regional market for goods, services, technologies and skills. The mega infrastructure project, which was implemented by China Road and Bridge Corporation, affiliated with the CCCC, is also deemed as an early result of the China-proposed Belt and Road Initiative aiming to build trade and infrastructure networks connecting Asia with Europe and Africa along the ancient Silk Road routes. 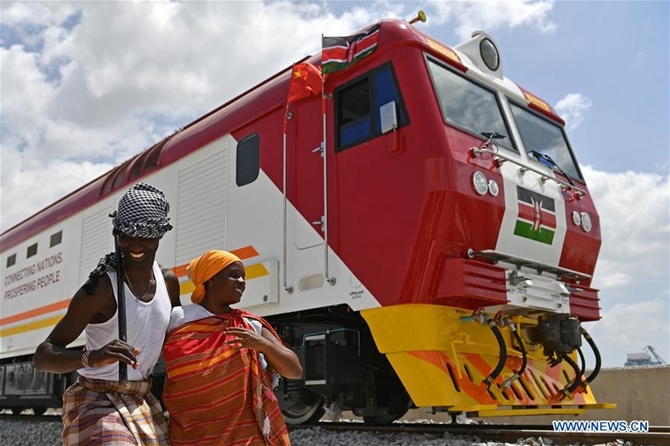 Gerishon Ikiara, an international economics lecturer at the University of Nairobi, said that the modern commuter and cargo trains will promote growth, prosperity and cohesion in the larger eastern African region.